Hey, Lady Grey: LOVE this... Jimmy Fallon, Mariah Carey, The Roots, and a whole lot of funny instruments! 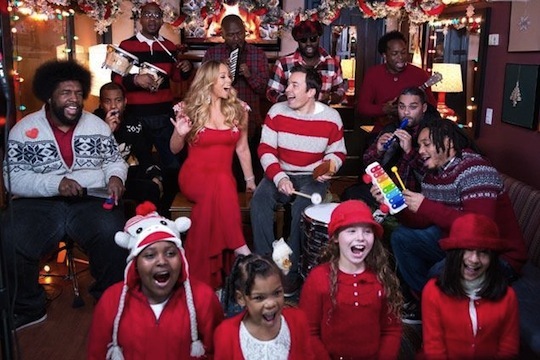 LOVE this... Jimmy Fallon, Mariah Carey, The Roots, and a whole lot of funny instruments! Oh I just love me a good ol' spirited Christmas song! I loved this! I love Jimmy and Mariah and The Roots. And those freakin kids are adorable popping up every so often!